Chocolate or Strawberry - which one are you? The medals are awesome, double sided, magnetic and with reversible ribbons, so f you really can;t decide then simply have both! 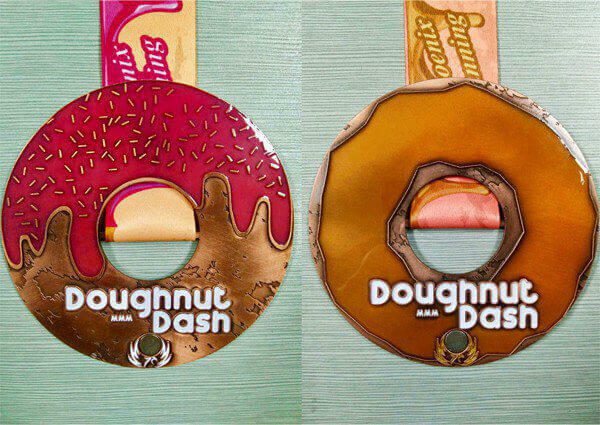 The Doughnut Dash is going to be one of our 'Battle Runs'. When you register, you'll get your race number as usual, however this will dictate which direction you are going to run in along the Thames towpath. It's odd vs. evens. 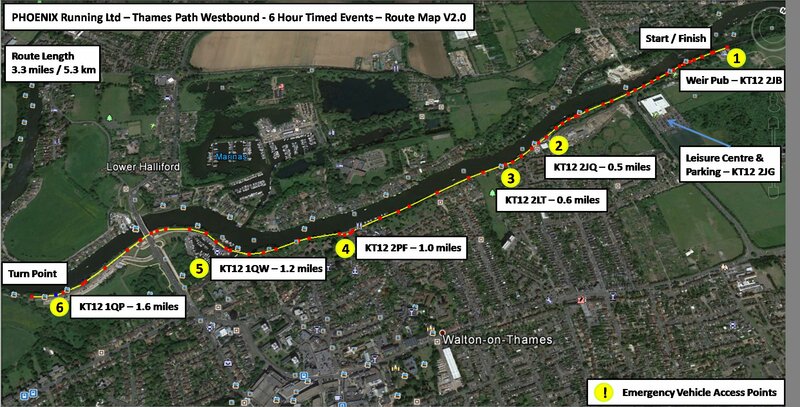 At the start line those wearing odd numbers will face east and those wearing even numbers will face west. Then when the start signal goes that's the route you'll complete your laps on and stick to for the duration of your run. 'Odds' and 'Evens' will meet each time you come back to the aid station. Once the event is finished we'll add up the total number of laps completed by 'odds' and the total number of laps completed by 'evens' and there will be a winning team and bragging rights! Last time we did this, there were just 6 laps between the two, so its always worth doing that extra lap! And don't worry, if you've come with a friend and end up with opposing numbers and really want to run together - just let us know at registration and that will be fine.